Ann Lichacz Susol, 93, of Erie, died on Thursday, October 4, 2018, at St. Mary's East. She was born on May 23, 1925, in Erie, daughter of the late John and Pauline Borisko Lichacz. She attended East High School and worked for L. Press & Co., General Electric Corp. and the Boston Store. She then went to work with her husband as the office manager of Emil Susol & Son for over 20 years. 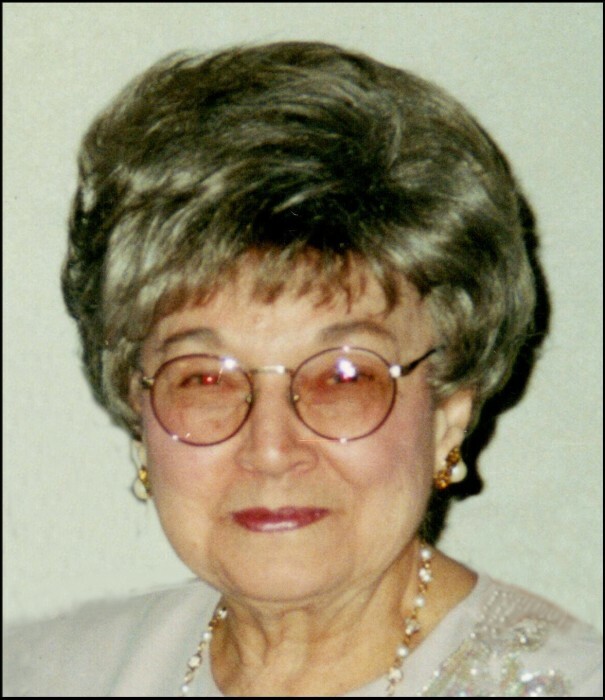 Mrs. Susol belonged to Pineview Congregation of Jehovah's Witnesses, was a member of the Gertrude Barber National Institute Auxiliary, and enjoyed cooking and attending luncheons and playing cards with her "Lunch Bunch" group of girlfriends. She also enjoyed being on the golf course with her husband, but most of all she cherished the time spent just being with family and dear friends. In addition to her parents, she was preceded in death by her husband of 44 years, Emil Susol, in 1990; a son, Thomas Emil Susol, in 2002; a sister, Mary Pelinsky; and a brother, Michael Lichacz. Survivors include a daughter, Patricia Fichena and husband David of Erie; a son, Douglas P. Susol and wife Vicki of Erie; a brother, John Lichacz and wife Trudy of Winter Springs, FL; a granddaughter, Mandy Susol of Erie; and two grandsons, Douglas E. Susol and Brandon Fichena and wife Angie, all of Erie. Friends may call at the Scott Funeral Home, 2104 Myrtle Street, Tuesday from 11 a.m. until the time of service there at 1 p.m. Marvin Atkinson of Pineview Congregation of Jehovah's Witnesses will officiate. Private burial will be at Wintergreen Gorge Cemetery. Memorials may be made to Watchtower Bible & Tract Society of NY, Inc., ATTN: Accounting, 900 Red Mills Road, Wallkill, NY 12589-5200; or to Barber National Institute, 100 Barber Place, Erie, PA 16507. View the on-line obituary and send condolences at www.ScottFuneralHomeErie.com.